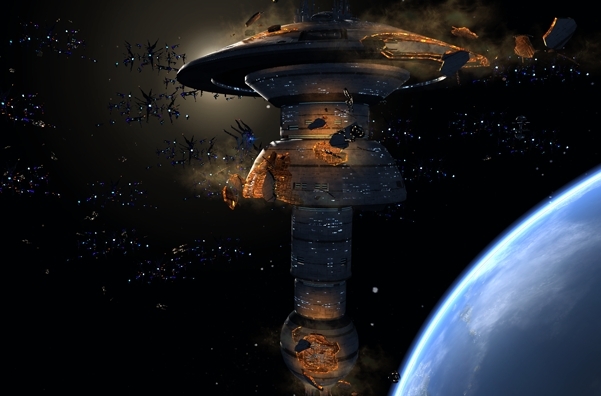 Midnight , released yesterday, is the eighth and final episode of the Iconian War story arc in Star Trek Online. I got a chance to play it last night, and I think it’s my favorite episode in the entire game. It felt like a good TNG episode. I don’t want to spoil the mission for anyone but let me say that this entire arc has been great for resolving plot lines that were left hanging in TNG and Voyage. Congratulations to Cryptic not just for a great episode but for finding a good release cadence for story missions. This year had seen a lot of quality new content released. Having a combination of monthly new episodes with rewards becoming available on a weekly basis to promote replays strikes a nice balance of giving players new content without overloading the developers. I can’t wait to see what’s coming with the next Season. If you miss having Star Trek on TV, you really should give the game a try. The only downside is that the Iconian War arc is for level-capped players, but it’s possible to get to 60 pretty quickly between XP boosts and the Duty Officer system.